Having good luck in life is something that we cannot manipulate but, what we can do is to have information about what we can find in our life and acting accordingly. For this, astrology offers us a lot of different tools that are, every day, used for more and more people. And, one of these tools is the horoscopes and the predictions for the signs. The horoscopes offer us a lot of information that we can take into account when trying to know the different situations that we can live in our lives. However, there are a lot of other different reasons for which we should always find a moment to read these predictions. Let’s talk a bit about them. – Concrete information about the different aspects of our lives: the horoscopes offer us a lot of information about the different aspects of our lives as, for example, love, health, money, work and so on. So, in this way, we can say that the information is well organized and complete. 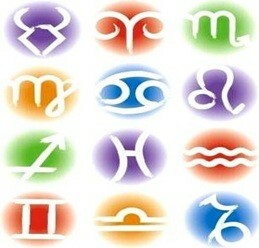 – Advice of the astrologers: the advice of the astrologers we get from these predictions are of the most interesting, as the majority of them are direct form the astrologers and they can perceive better the facts and the information. In this way, we will be able to know the messages of the Stars and the advice of the astrologers to act in the best way. – Not a lot of time to read them: Reading the predictions is something that we can do without losing a lot of time. We want to remember that there are different predictions that we can read according to the needs we have as well as the time we have. – Available at any time and for free: another advantage that we have with the predictions is that they are free on the Internet, so we do not have to pay to have them. In this way, we do not need to look for them in the newspapers or magazines, as we will be able to read them at home, at work, and so on. There are also apps that we can download to our mobile devices with which we will have our daily horoscopes. – Easy to read and available for everybody: the predictions are offered, in the majority of the cases, with simple vocabulary so we can read them fast and take all the benefit out of them. We all can understand what predictions are telling us. With all this information, now you will be able to know more about the horoscopes and make sure you read your predictions every day.